Hitch (Reviewish) – Jonez, Where We Going? Because I am a romantic sap, my favorite movie is Hitch. Well one of my favorites, there are movies that I could sit and watch every single day! When I watch Hitch, it just gives me hope that I can, too, find someone who meshes that well with me. For those wondering I am Casey in the film, I am that friend, that dates these losers, because I have hope that they will finally be my prince incredible. Possibly If I was more like Sarah, being such a ‘realist’ she limits the amount of hurt she subjects herself to, on the flip side, she also limits herself to the amount of happiness she could possible receive too. SideNote: I always gush over Sarah’s apartment in Soho! That place, with its bay windows, are the stuff we romantic saps dream of! Hitch’s apartment is the maker of tears, but Sarah’s has a vintage feel to it. Double SideNote: Sarah and Casey meet up at Rice to Riches in Soho after the horrible date, where Sarah is kicked in her head. Well I absolutely Love that dessert eatery. Let’s plan a date there soon, K? The only part in the film that makes me roll my eyes EVERY SINGLE TIME, when Hitch goes to the yacht to speak to Allegra Cole, and she lists all the things that Albert does that makes her fall for him, and they are ALL the things Hitch told him not to do, she then says, “Well what did you do?” Hitch Replies, “Nothing” Well thats a damn Lie! He created the boarding meeting outburst that allowed you (Allegra) to actually pay attention to Albert. He also was able to get the tickets to the Sky Studio Fashion Show, for you (Allegra) and your best friend to be heard about your ideas of how you should invest in Maggie’s company, So I would say Hitch did a hell of a lot, and he deserves ALL praises that I hope you gave him! What he did do!? The nerve! 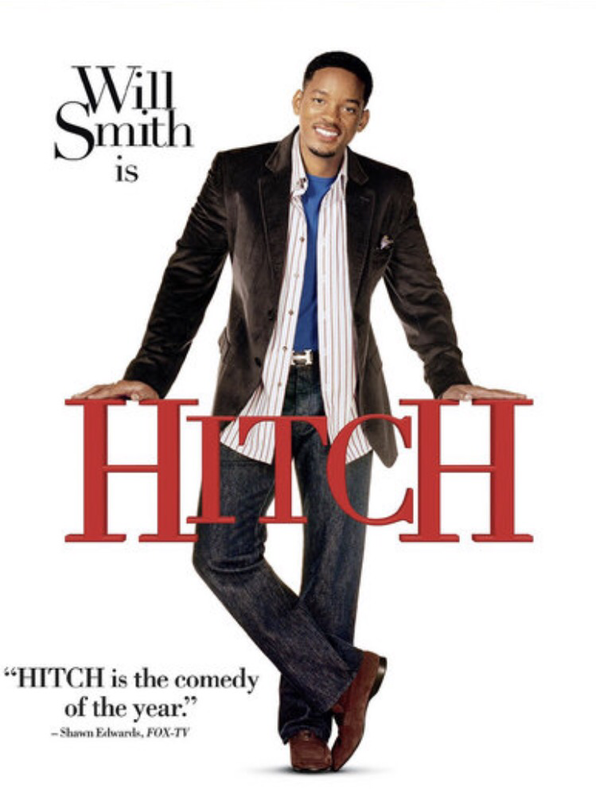 If you have yet to see Hitch, first shame on you, second Go see it today, NOW!